Who knew that soccer could change a life? Well, it can. 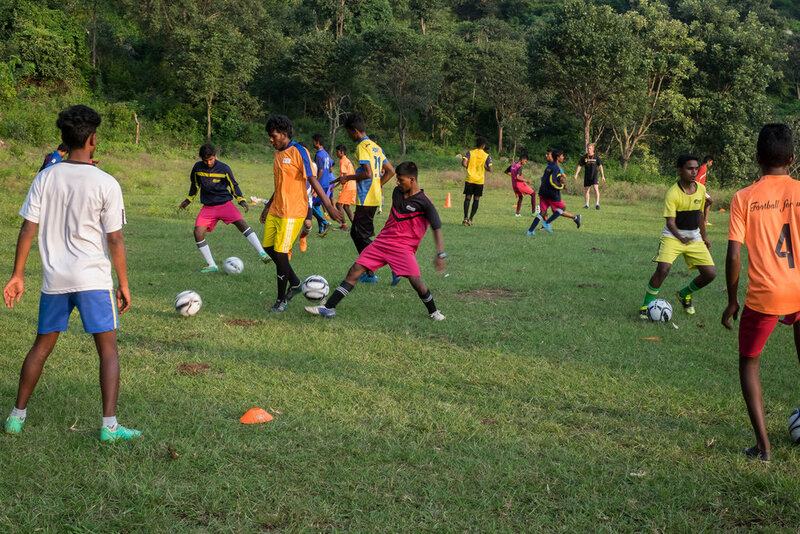 And it does every day through our Sports and Mentoring Program, reaching over 900 boys in India! When Matt was young, he was quite a good kid. He took school, life and religion seriously. However, from about the age of 14, things began to change... He became involved in drugs and alcohol and struggled to stop. One day he ran into some guys that were doing sports coaching and he was invited to join. He was quite interested and tried to go whenever he could. Sometimes, though, he was too embarrassed to go to training because he had old torn clothing as his family was very poor. At home, things were not great. The whole family was upset and broken because his sister had ran away and eloped. Matt didn't think his parents loved him and would happily send him off into the night where he would end up at a bar, drinking. He was often drunk and had no self-control. He would also frequently steal money and use drugs. However, the coaches were always very encouraging and he felt quite comfortable at the soccer training. One day he also was invited to come on a sports camp. It was on the camp that Matt began to understand how his behaviour was wrong and was leading him down a dangerous path. He learnt the harm that was doing to himself, and he met a lot of people he could relate to who were now living very different lives. That camp was a real turning point for Matt and he decided he wanted to change and make a new life for himself. Part of that would be committing to doing the right thing and continue in his sports training. It was a very difficult journey, and although he tried to be good, he often struggled and would slip back into his old habits. It was a very formative time and his leaders were always there to check up on him, encourage him, and provide a safe environment where he didn’t feel judged or condemned. Through persistence and regular attendance at the training, Matt slowly became a new man. His whole life has been transformed and after a couple of years he is now part of the coaching team. He is using his own story and experiences to teach, train and mentor other young boys that are just like he was. Through his job he is also able to support his family much more than he ever could before. All the while, he has been able to advance his soccer and is now a part of a great team which he is very happy about – an absolute dream come true! Matt is part of our Sports and Mentoring Program in India. It costs about $5 a week to keep someone in this program. You can join Coffee Money Mondays and donate $5 a week to help keep a child like Matt in our program. Help transform lives, one coffee at a time.